Paul Mainieri Field at St. Thomas University will host the March Madness Shootout championship games. 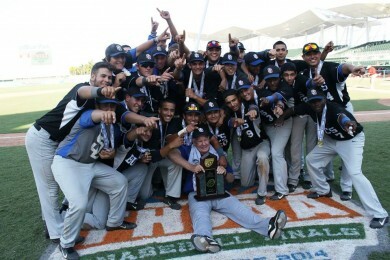 This spring’s top high school baseball tournament in the nation will take place in South Florida this March. The HSBN March Madness Shootout presented by Galeo Spices will take place March 21st to March 28th in select venues across South Florida. 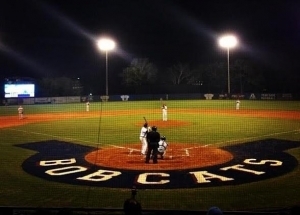 This 32-team tournament pits some of the most accomplished baseball programs in the area, including 11 former Florida state champions and three former National Champions. Teams will be divided into two brackets of play, the Gold and Black Brackets. Brackets will be selected based upon overall seedings, which will be announced on March 11th. The teams seeded within the top 16 will compile the Gold Bracket, and the teams seeded from 17 to 32 will make up the Black Bracket. Both championship games will be held at St. Thomas University in Miami Gardens, on Thursday March 26th. The chance to play a high school tournament championship game on a college field is a thrill in itself, and that is magnified by the high quality facility that St. Thomas University provides. Over the past several years the university’s baseball facility has undergone many impressive improvements, made possible thanks to donations. The Gold Bracket semifinals will be held at Mavericks Stadium at Archbishop McCarthy High in Southwest Ranches, while the Black Bracket semifinals will be hosted by Coral Springs High in Coral Springs. Class 2A champion Miami Brito is one of four defending state champions which will compete in the HSBN March Madness Shootout. With such high level of play, the HSBN March Madness Shootout expects to draw all the top college and pro scouts from across the country. Beyond the high level of competition are many other aspects that contribute to make the HSBN March Madness Shootout unique and exciting. Each team is guaranteed to play four games in all, and every team will play on Opening Day on March 21st. Teams that are eliminated from the winners bracket will then compete in the consolation pool, and consolation pool games will be assigned by HSBN to ensure teams face some fresh competition. Due to the success the Mavericks have enjoyed in recent years, they know they will have a target on their backs. Yet in a field as deep and talented as this one, predicting an ultimate champion seems impossible to do. It is a tournament crown so many teams can realistically strive for, and the true winners will be all those in attendance to watch the best teams in the South Florida baseball community battle their way to the title.